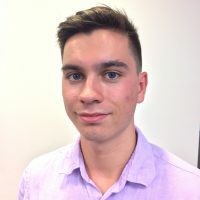 Lars Wolf was a Development Intern at AICGS for the summer of 2018. His primary roles include database management, assisting fellows with research for current projects, and event support, particularly for the Institute’s annual fundraising dinner. Mr. Wolf is currently pursuing a Bachelor’s degree in Economics with a minor in German Studies from Franklin and Marshall College.